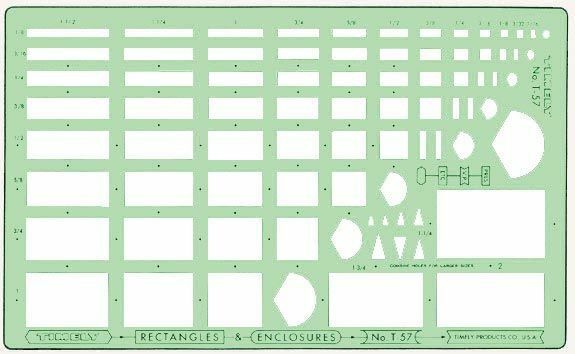 Contains 65 rectangles from 1/16" x 1/8" to 1¼" x 2". * Flow arrows and end shapes. * Size: 6-3/8"x 10-3/8" x .020". Scale: 1/16" x 1/8" - 1 1/4" x 2"
11.75" x 6.5" x 0.05"